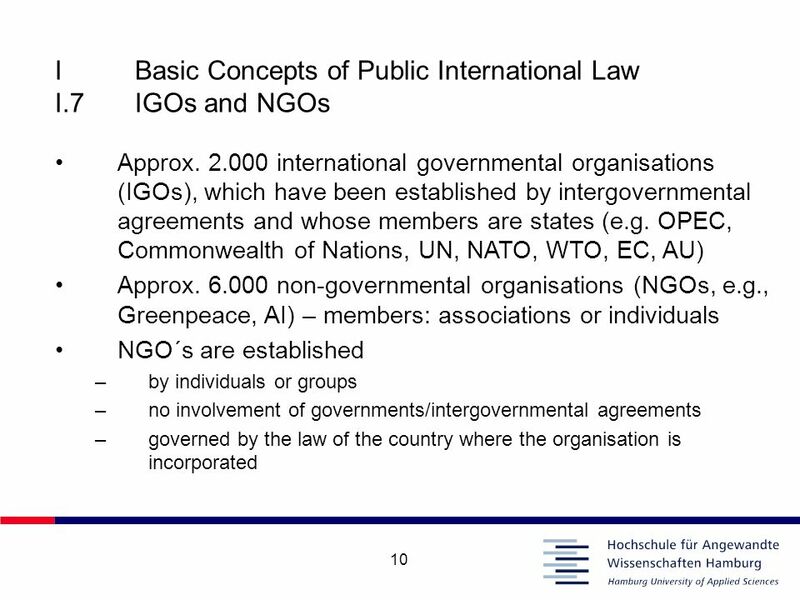 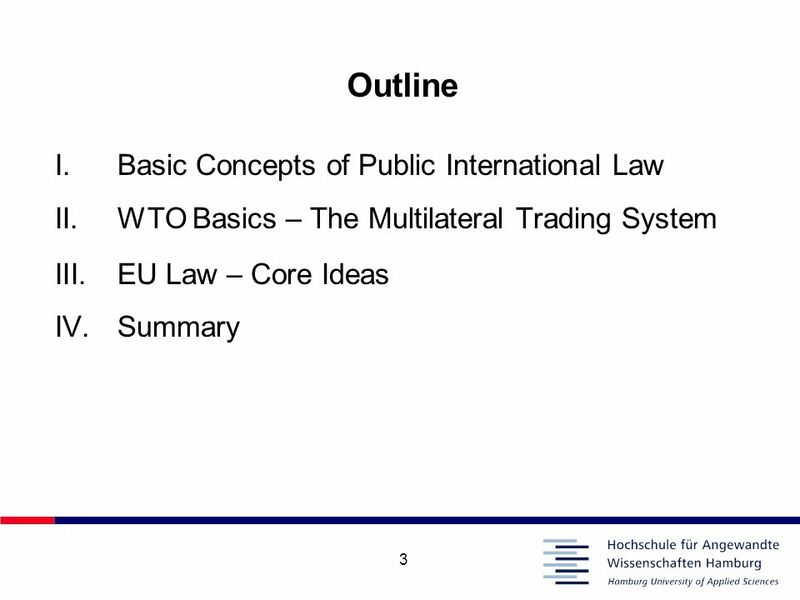 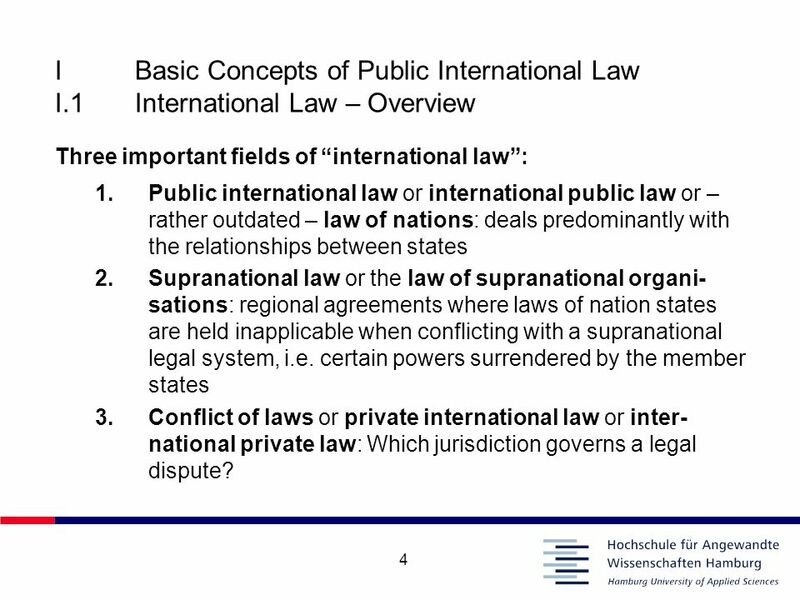 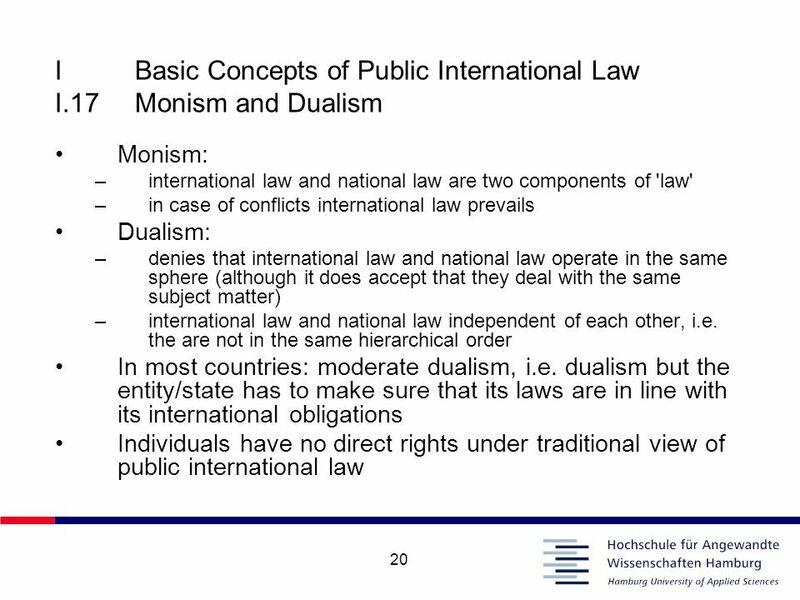 I	Basic Concepts of Public International Law I.1	International Law – Overview Three important fields of “international law”: Public international law or international public law or – rather outdated – law of nations: deals predominantly with the relationships between states Supranational law or the law of supranational organi-sations: regional agreements where laws of nation states are held inapplicable when conflicting with a supranational legal system, i.e. 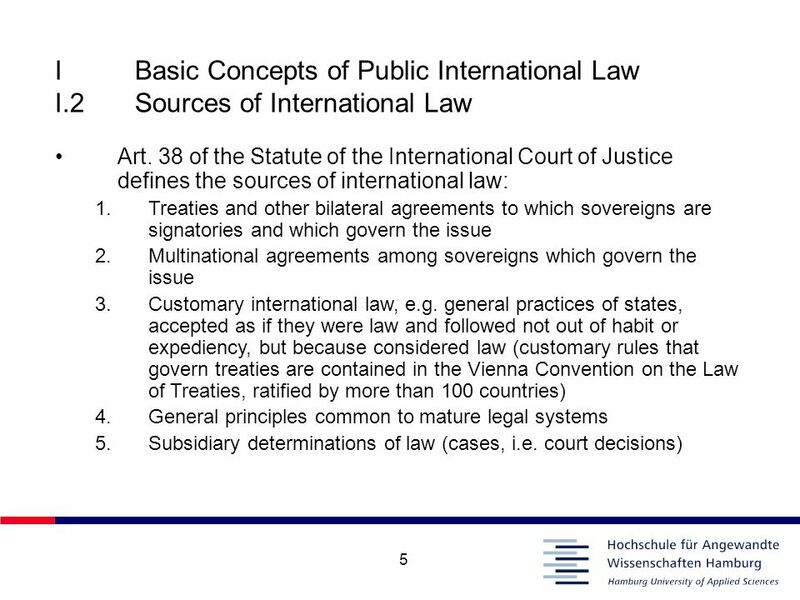 certain powers surrendered by the member states Conflict of laws or private international law or inter-national private law: Which jurisdiction governs a legal dispute? 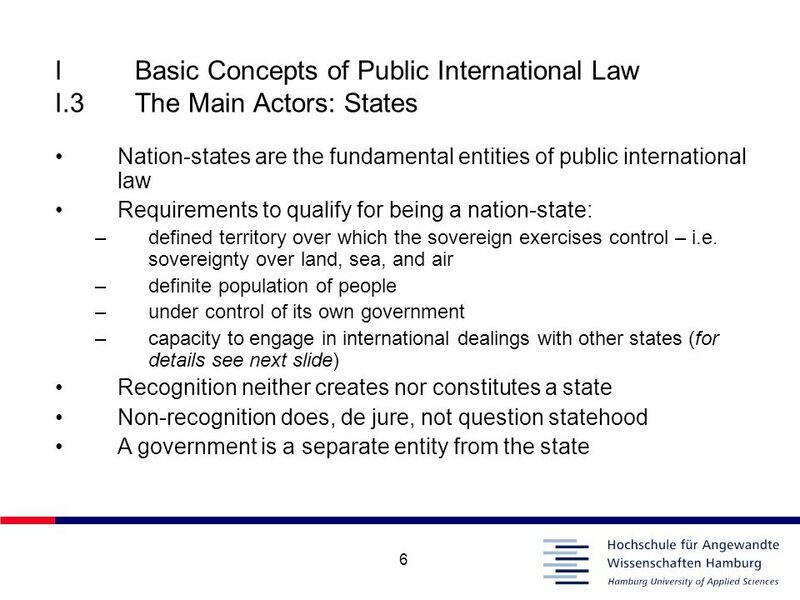 Sei Fuji v. State Does California´s alien land law violate the UN Charter? 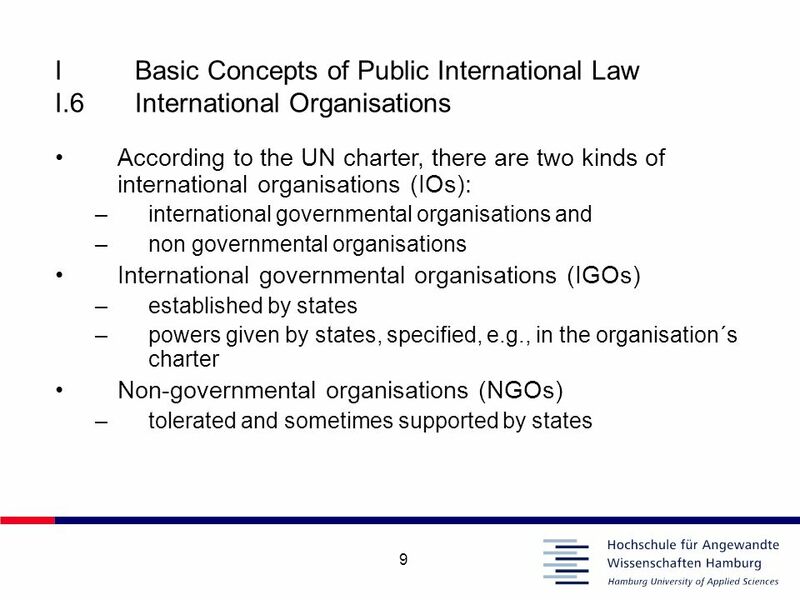 If it does, is the UN Charter automatically applicable? 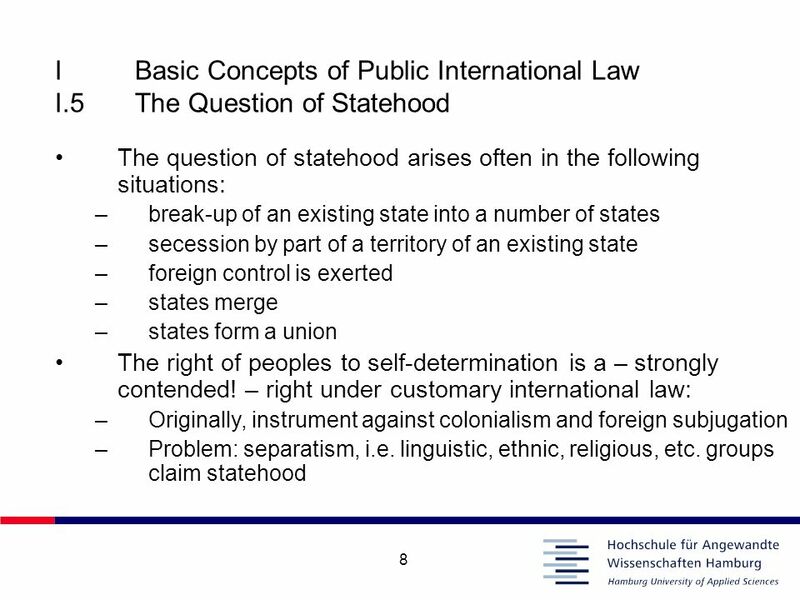 Does the California law violate the US Constitution? 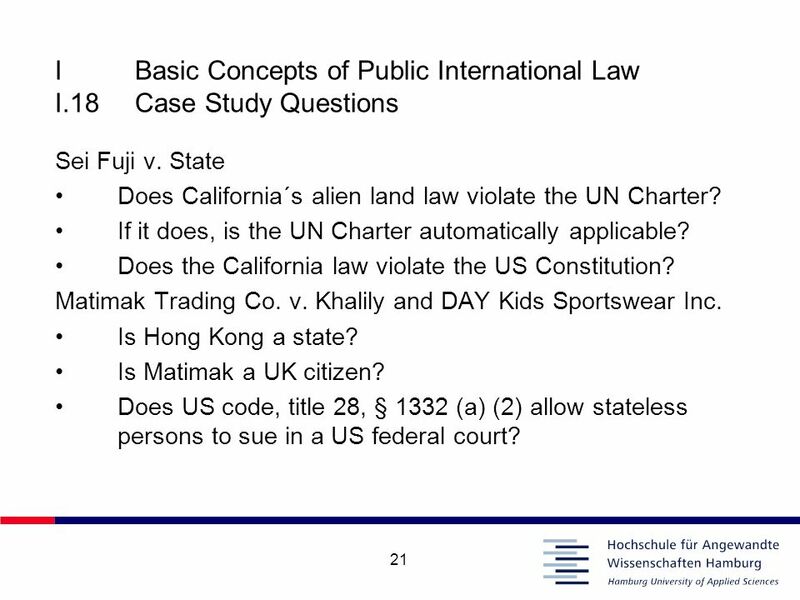 Matimak Trading Co. v. Khalily and DAY Kids Sportswear Inc. Is Hong Kong a state? 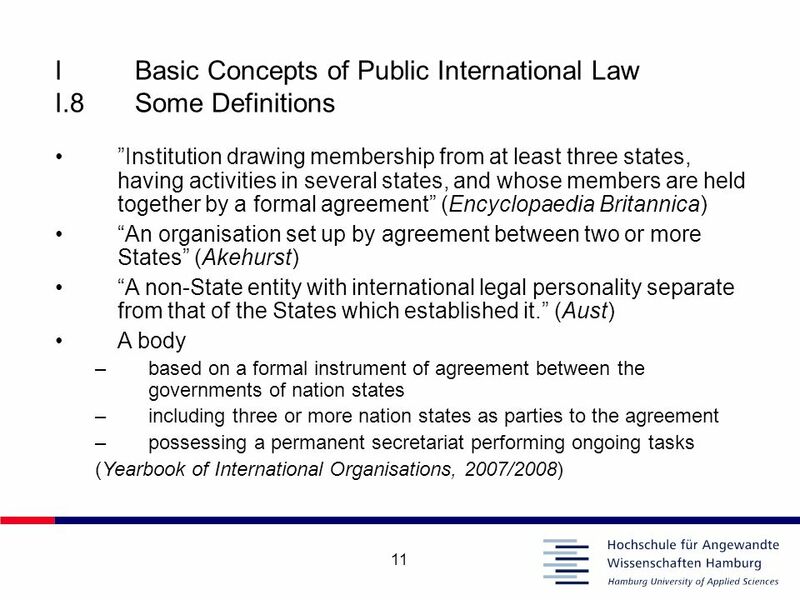 Is Matimak a UK citizen? 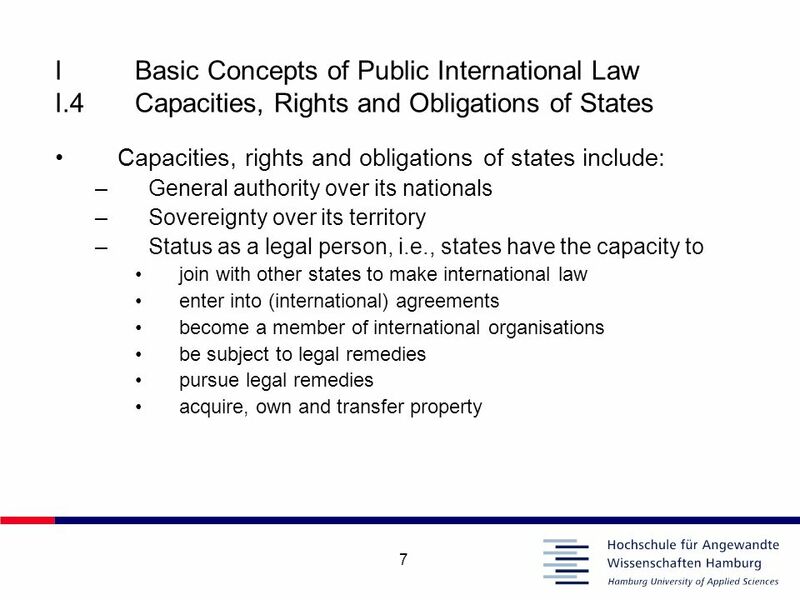 Does US code, title 28, § 1332 (a) (2) allow stateless persons to sue in a US federal court? 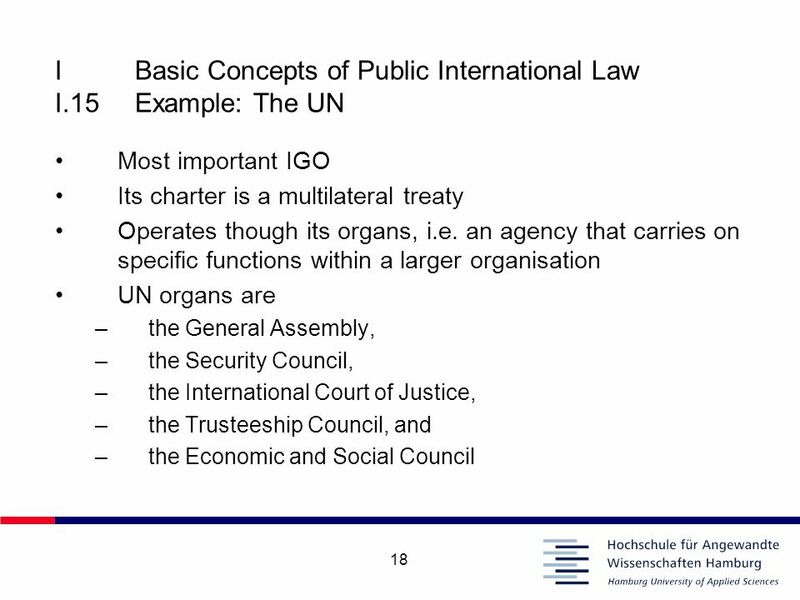 1 Overview of International Treaty Law, the UN Office of Legal Affairs and Treaty Section mandates Ms. Annebeth Rosenboom Chief Treaty Section Office of. 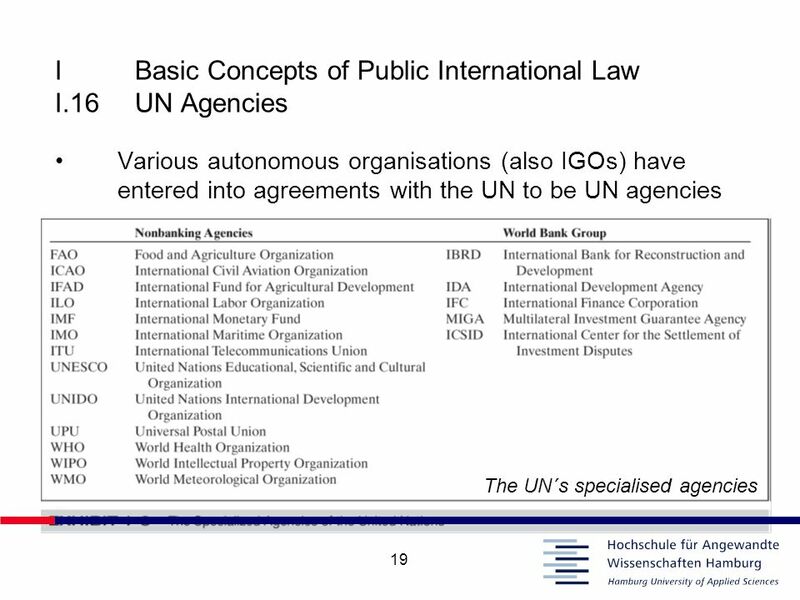 1 International Law Commission An Overview Laos October 2003 Brad Smith. 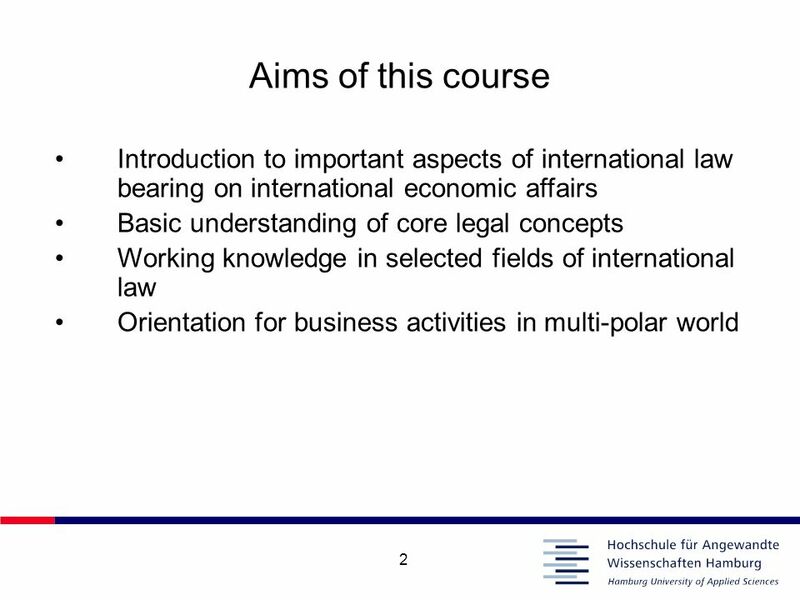 Foreign & Intern’l Legal Research Seminar (Law 623A) Roy L. Sturgeon, J.D., M.L.S., LL.M. 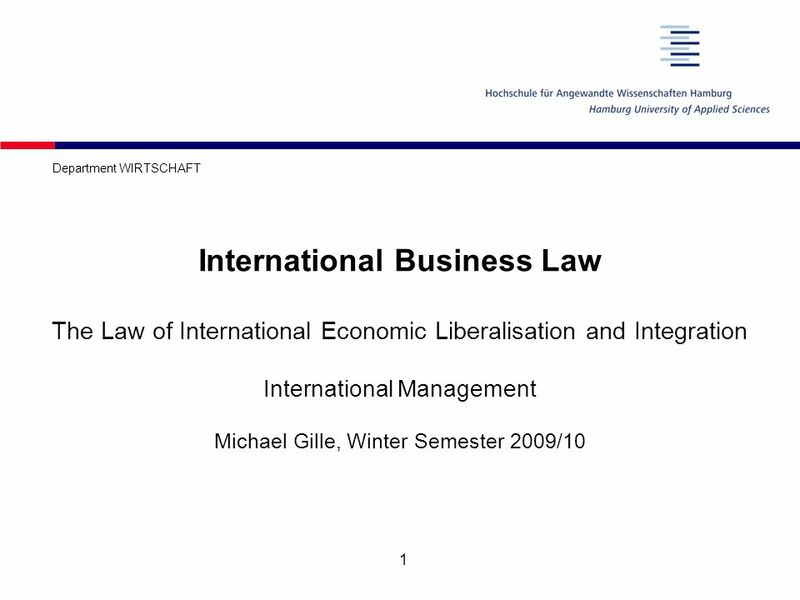 (Chinese Law) Foreign & International Law Librarian, Library. 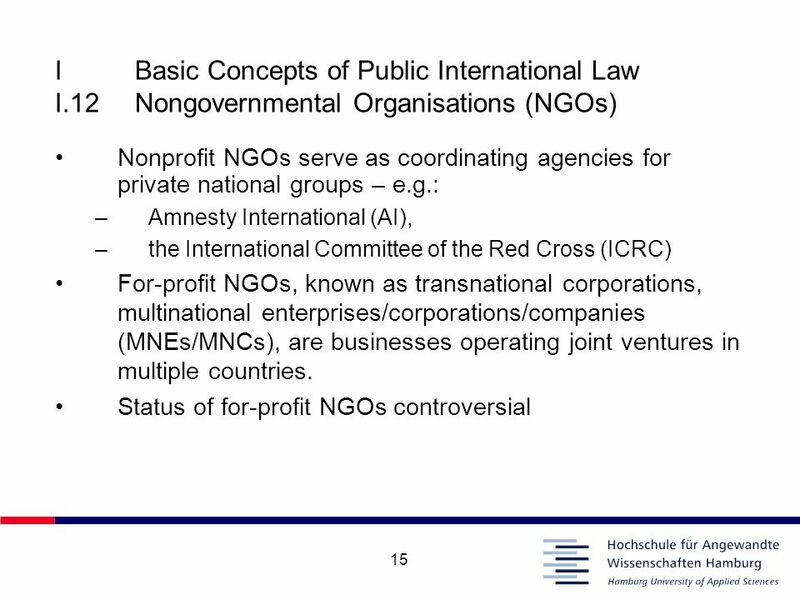 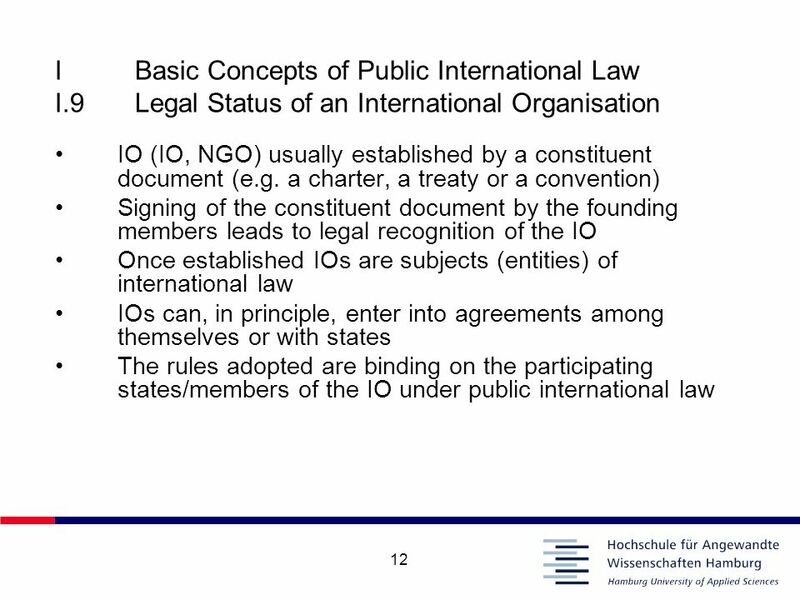 Palacky University Olomouc Faculty of Law Law of International Organisations -International Organizations and the Law of Treaties Support. 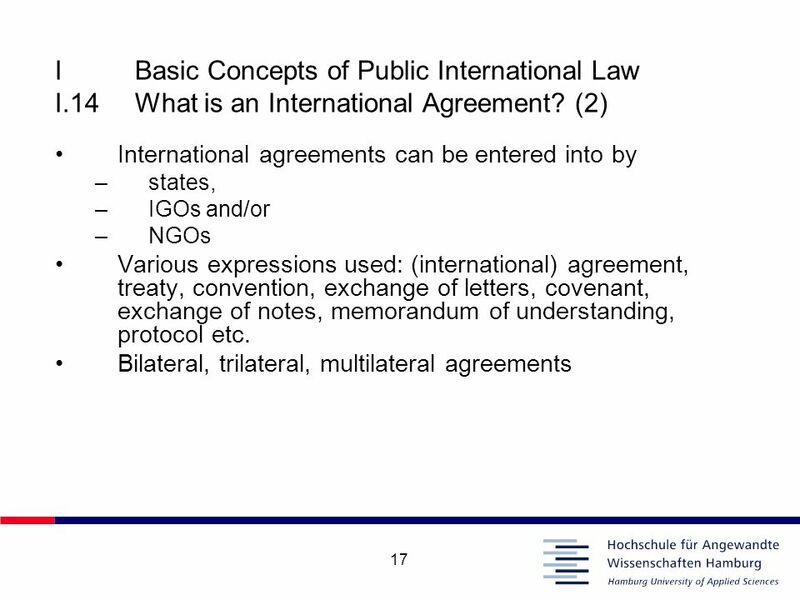 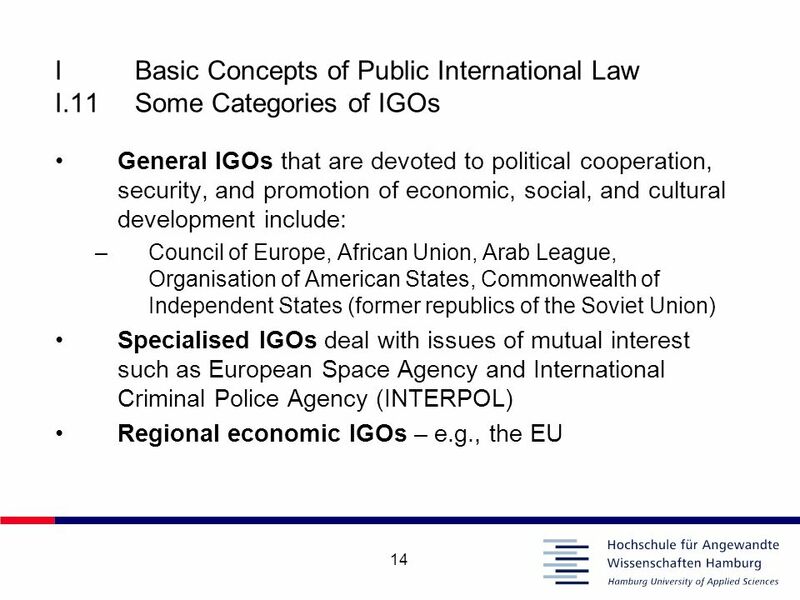 GO131: International Relations Professor Walter Hatch Colby College International Law. 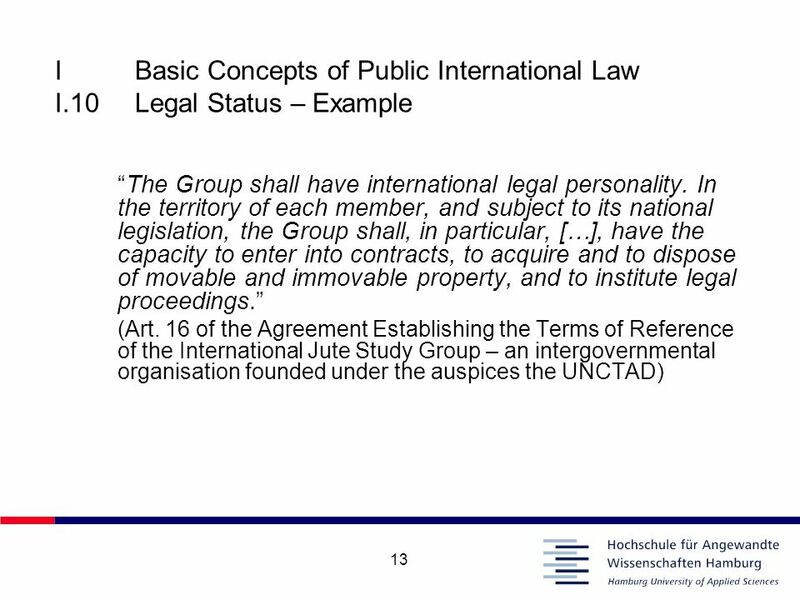 The Legal Character of International Law. 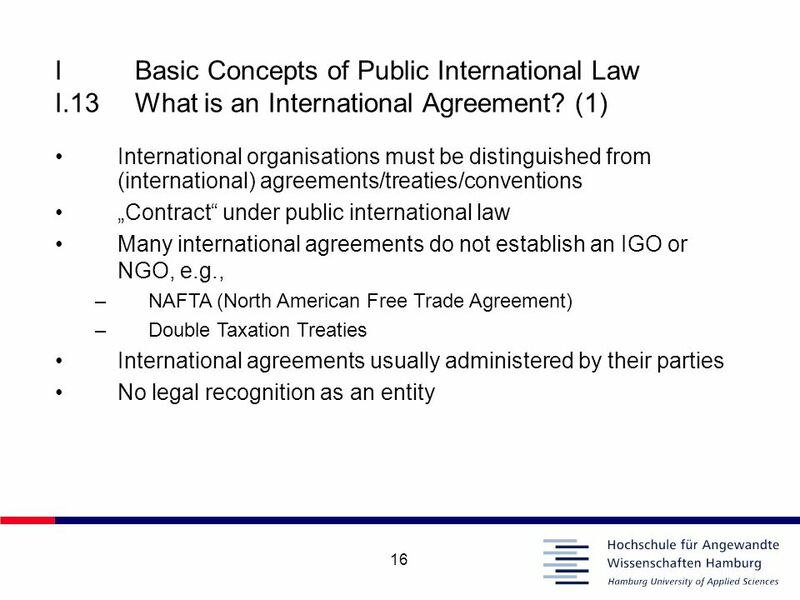 International Law Public and private international law Public and private international law Sources of international.